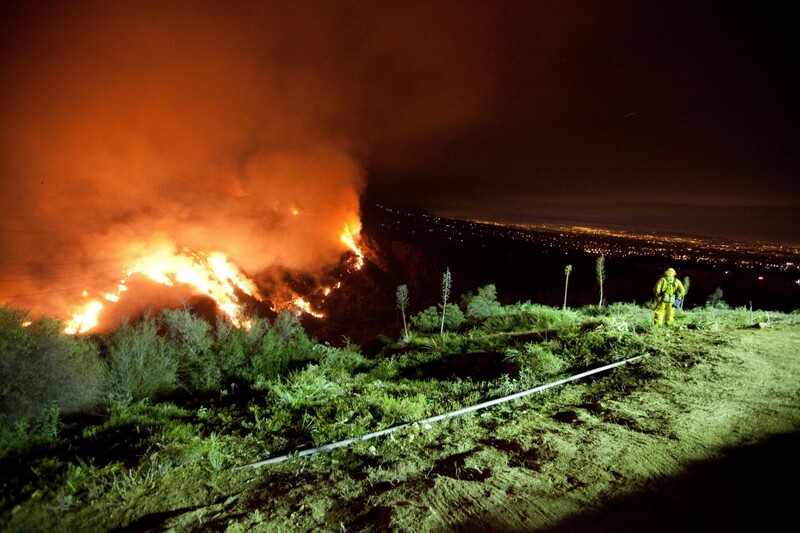 A trio of dead yucca flowers stand ready to become fuel for the Station Fire. 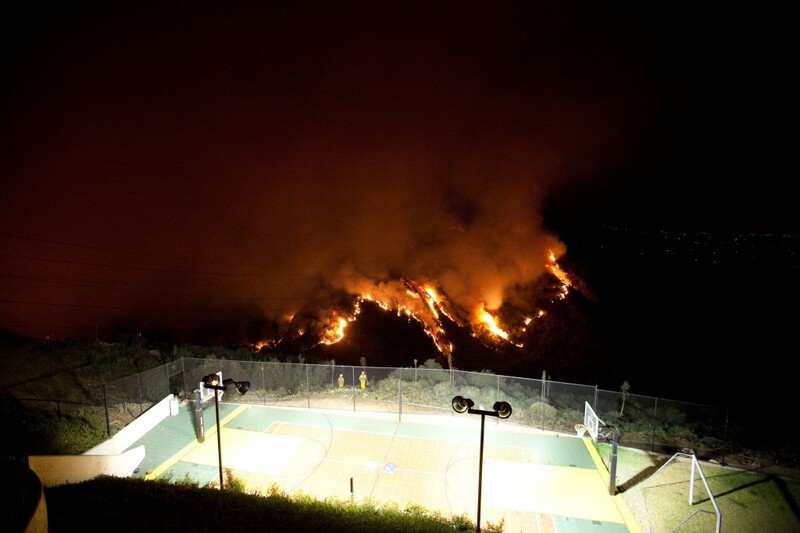 Two firefighters watch the Station Fire in front of a basketball court below a massive mansion in the hills of La Cañada. 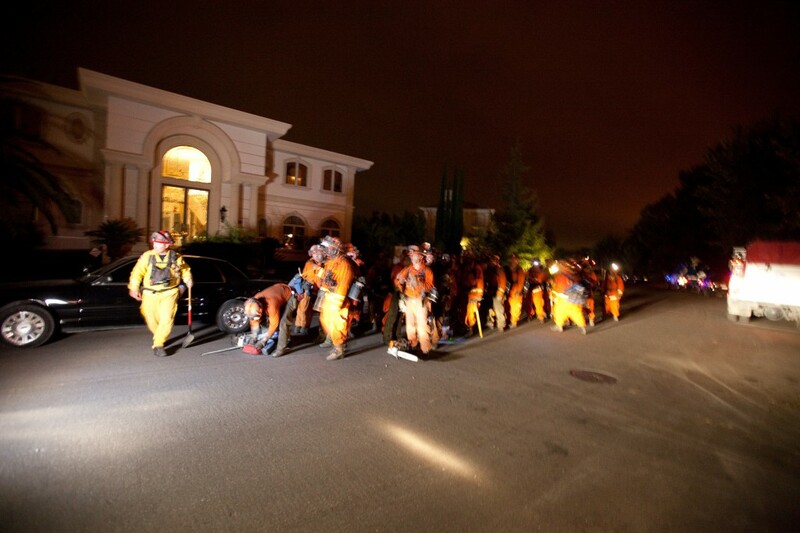 A group of firefighters prepare to battle the Station Fire blaze. 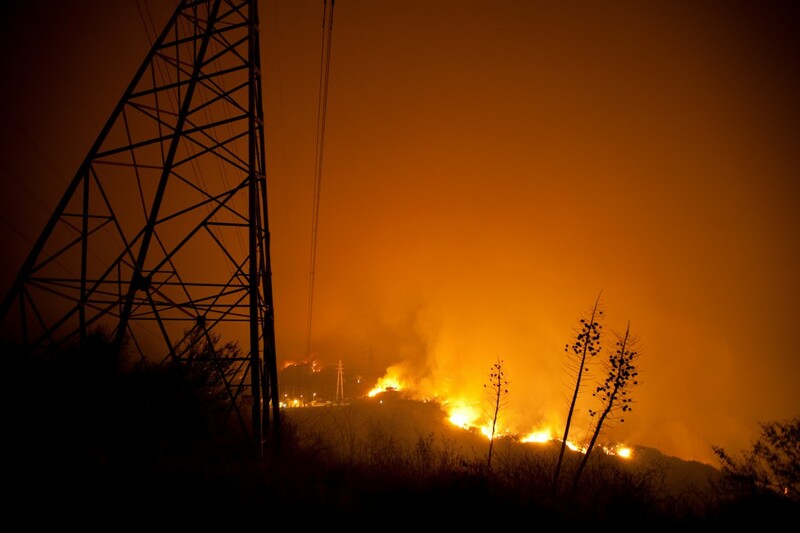 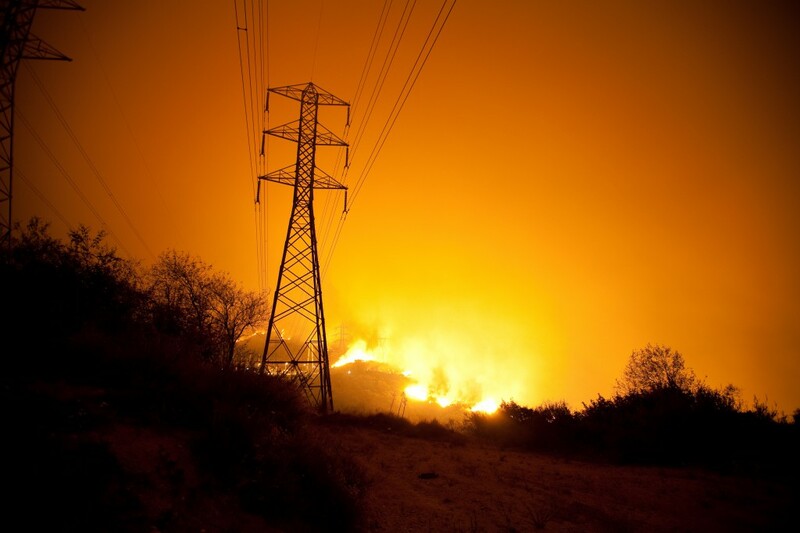 The Station Fire burns beside a substation below high-tension power lines carrying 250,000 volts. 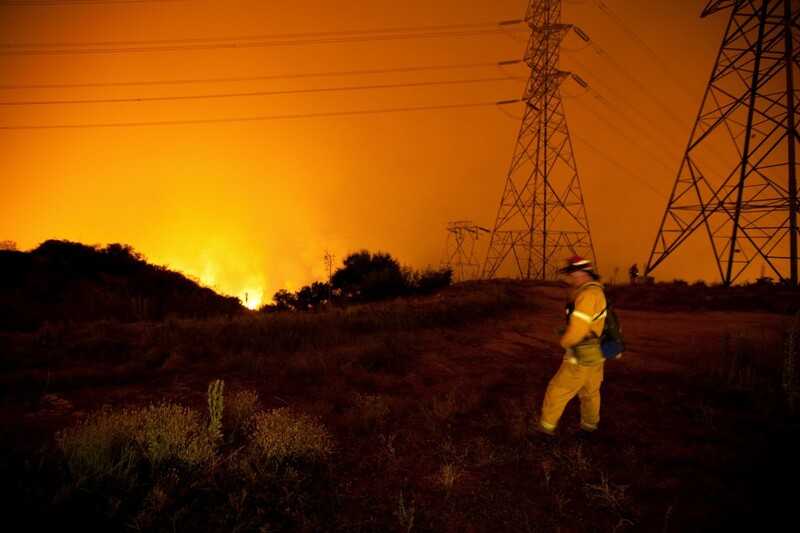 A firefighter walks to his station beneath power lines above the Station Fire. 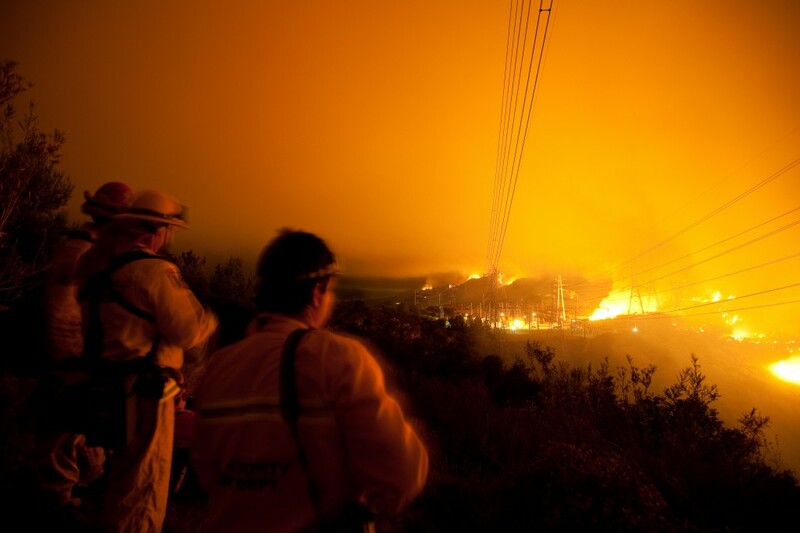 Two firefighters and a photographer (right) watch the Station Fire as it burns toward a substation. 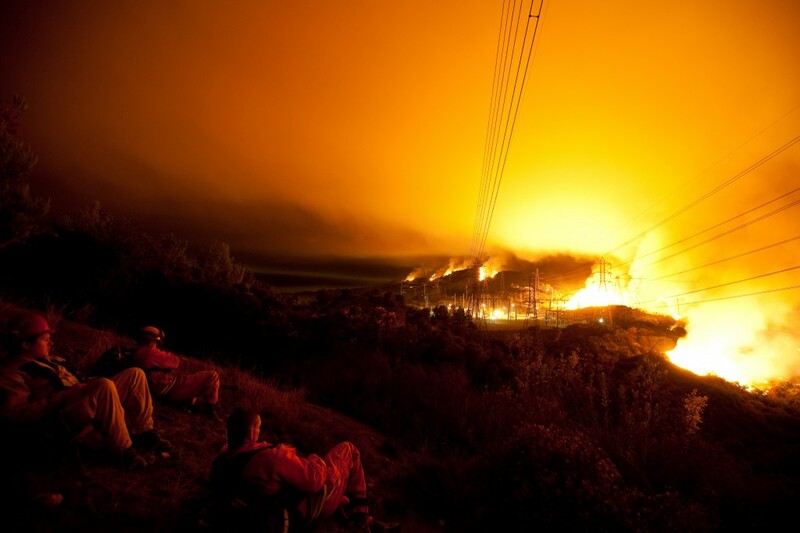 A group of firefighters rest their legs while waiting for the Station Fire to cross a gully. 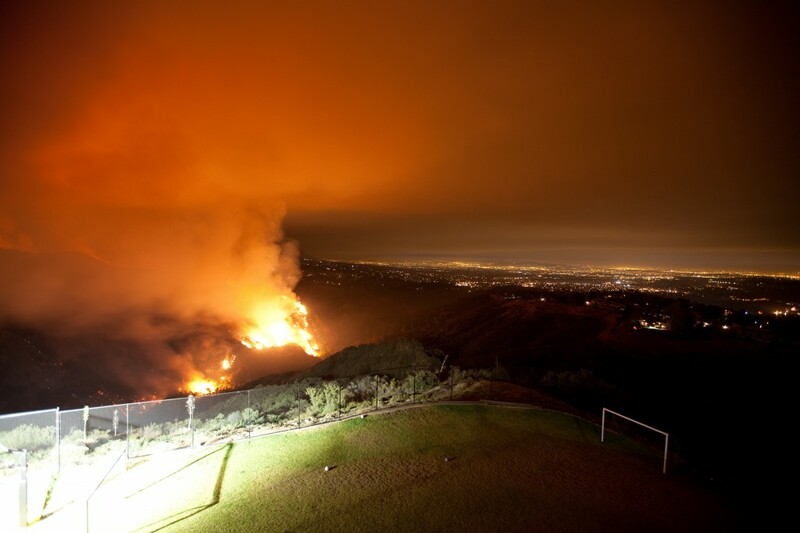 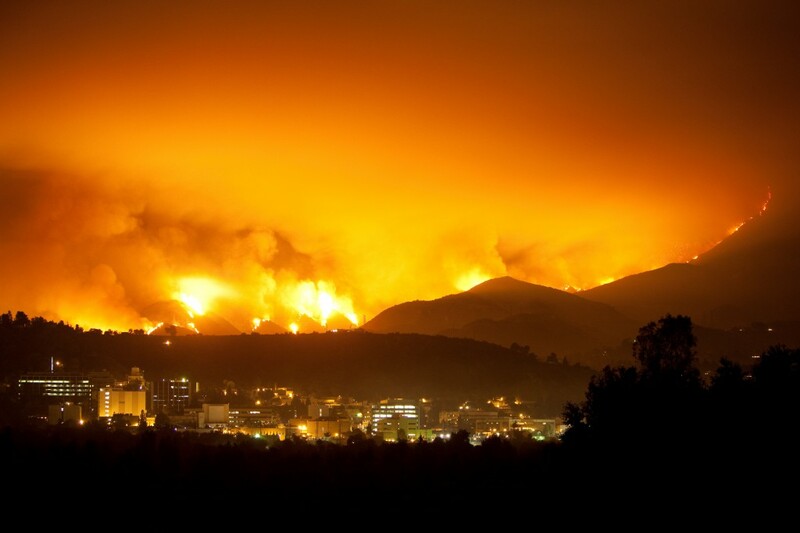 The station fire burns out of control below a soccer field with Los Angeles in the background.